As I write this, Roxie and I are filled with confidence, resolve, and joy. This does not mean that the new Father’s House is fully funded. It is not. (Yet). It does not mean that all of our basic resources are in place and provided. (Yet). It does mean that, since we sent out the June newsletter, many of you have reached out to make sure we understand that you are excited. You want to be supporters of the work God is doing through this ministry. Wow! Roxie and I believe you to be the “first fruits” of what is to come. Your heartfelt, sincere, and Spirit-led testimonies are evidence to us of the Father at work. This is the main thing we were looking for and needed to know. Lord, if this is where You are working, then this is exactly where we want to be. Though we do not yet know WHEN everything will be in place, Roxie and I have no doubt THAT the Father is preparing and calling a dedicated team of stakeholders to advance and enhance the Father’s House mission like never before. We are so convinced of this that we now declare to you: we, the Turners, are committed to see this transition through, regardless of what our eyes (or bank accounts) tell us. We are committed to walk this thing out by faith, not by sight. As you know, August is a very important month as we ask you to turn your prayers and thoughtful intentions into actions. The quickest way to make your plan of support official is to go the Father’s House home page at www.fathershousefoundation.com and click the Donate Now button. On that page, you can indicate whether your gift is one-time or recurring or both. If you prefer to donate by check, send it to Father’s House, P. O. Box 3099, Glen Rose, TX 76043. Again, we could really use some one-time larger gifts to use as “emergency funds” through this transition time. To name only one example, we need to pay airline deposits ($100 per seat) on three trips being planned for the summer of 2018. Just in case you missed the big June article, read it now so that the rest of this update makes sense. Here’s the link. At the end of that article, we projected a bare bones budget of $5,900 per month. This could be met if, for instance, 10 congregations committed an average of $175 per month (some more, some less, but averaging that amount), and if 10 businesses committed an average of $200 per month, and if 50 individuals gave an average of $43 per month ($10 per week). Some individuals are able to give more than that. Some may commit less, but with each one doing his or her part, together we will grow strong. Remember what we said above about the “first fruit” givers? The rest of this July newsletter illustrates what we mean. StoneWater Church has stepped up, not only as a Support Church, but as a Sponsor Church. This is a church that exceeds the $175 average and qualifies to send a representative to serve on the new Father’s House Board of Directors, which will form this Fall. Independent of StoneWater’s decision process, Ward Hudson (a Men’s Journey alumnus and member of StoneWater) read the June newsletter article. As he did, The Lord moved in his heart. He called Pastor Joey White to say, “Hey, I think I’m supposed to help Father’s House. What do you think?” Read the rest of his story in this newsletter. Meanwhile, Tom and Stephanie Shoemaker (alumni of the 2010 Holiday Journey) read the article and immediately committed to be the first business supporter of Father’s House, which is 4 S Transport in Cleburne, Texas. 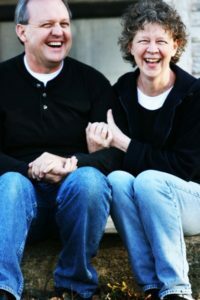 Finally, Tom and Melisa Norcross, who brought family members with them on their Father’s House journeys, felt led to become monthly supporters of Father’s House. In this newsletter, they tell you why. This month of August, we know many more of you will make your commitments official. You have told us that you want to be on the Father’s House team of stakeholders and prayer warriors. Bless the name of the Lord! For your convenience, click here to access our Donate Now page. Enjoy reading all the inspiring stories in this newsletter. As you join the team, feel free to email a brief testimony of how Father’s House has blessed your life and family. You can send it to Roxie and me at jturner@fathershousefoundation.com.